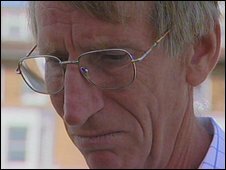 Almost 20 years after an IRA bomb exploded at a barracks in Deal, Kent, killing 11 Royal Marines musicians, the mental scars are still with those who survived. 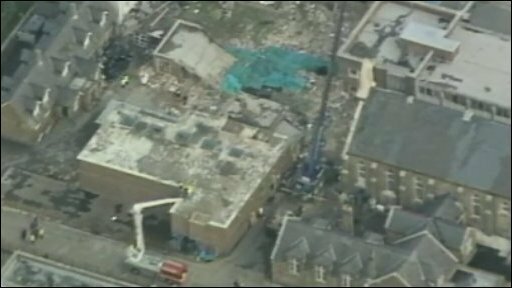 The attack on the Royal Marines' School of Music in the Kent town happened on 22 September 1989. Up to 10,000 people are expected to attend a memorial concert on Sunday to mark the two decades since the blast. Former staff band leader Jay O'Neill, of Hastings, Sussex, was one of more than 20 bandsmen who were injured by the 15lb bomb. He still asks himself why he survived. He said: "They were wonderful guys. I think one of the things that gets me is how come I survived and some of those poor youngsters, and they were youngsters, [didn't]? "What goes through your mind is, 'Why me'?" Mr O'Neill, now 57, added: "I was the eldest of the injured and one of my best mates was the eldest of the ones that had his life taken away. "And you just cannot get your head round that question at all." The bomb exploded while the musicians were practising in the concert hall on Canada Road. Mr O'Neill recalled: "I was going into the foyer and the next thing I remember is being transported - lifted into mid-air - and really that's all I can remember. "I don't remember any pain; I just remember this hissing sound, this loud sort of sound, and just floating through the air. "The next thing, of course, I was on my side and looking at the roof of the building that was on me. "Behind me was Bob Simmonds [who] unfortunately we lost. "People tried to keep me away from looking at the situation but it wasn't very pleasant." Rescuers and other marines from the music school cleared rubble away with their bare hands in the search for survivors in the wreckage of the building. Mr O'Neill said: "Somebody was touching my feet underneath the roof, it was a chap called Mick Cole, and we were talking to each other for a while. 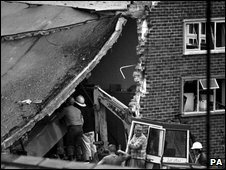 "I was trying to tell the other people who were trying to dig out the rubble that there was somebody underneath this roof which was quite traumatic, obviously." Mr O'Neill added: "The memories are always there. They are scarred in your mind. "Anyone who has a major disaster go through their lives will never forget it. "I'm one of the fortunate ones. The scars have healed a little bit. "I suppose the biggest scars are in your head - it's what you remember." Mr O'Neill said his thoughts would be firmly focused on remembering and celebrating the lives of those who died. He said: "It [the question] still comes back, it still comes back. But not on Sunday, Sunday will be a special day. "It will be for the families, it will be for the people of Deal, it will be for the people who have travelled all that way to come and see the Royal Marines. "I'm so looking forward to it and I shall be so proud of all of them. "We'll be still feeling very much for the bereaved families. "I think it's very brave of them to come along to such an occasion as this but at the same time, of course, they were also very proud of what their sons were involved in. "It's going to put the hair up on the back of everyone's neck. "It's going to be emotional but it's going to be absolutely fantastic for the people of Deal to see the Royal Marines back there again."